Wonder Woman joins the One:12 collective with a comprehensively detailed outfit and unique character specific accessories. The Wonder Woman One:12 Collective figure features two newly developed head portraits, One:12 Collective body with over 30 points of articulation, Hand painted authentic detailing, and six interchangeable hands! 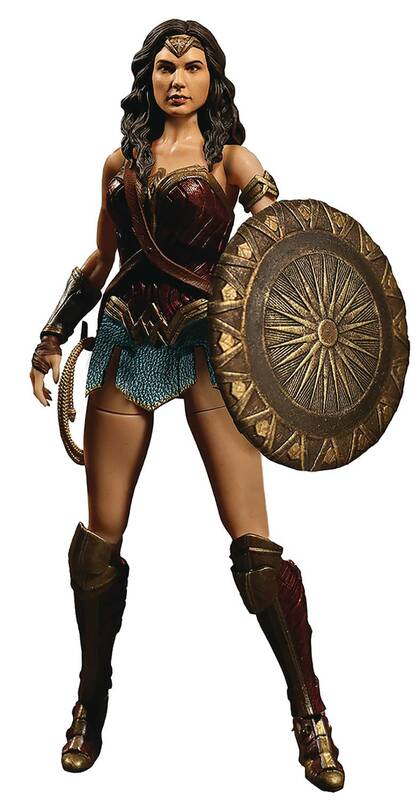 Wonder Woman stands over 6” tall and comes with a detailed movie accurate costume and weapon acessories!